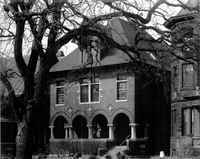 Gilbert & Taylor undertook their first work at the "old Stewart Mansion" in 1887. 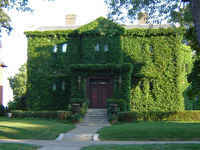 The oldest existing house on Summit Avenue, building permits reveal that it has been remodeled many times by many architects. Gilbert & Taylor's client was Robert A. Smith. 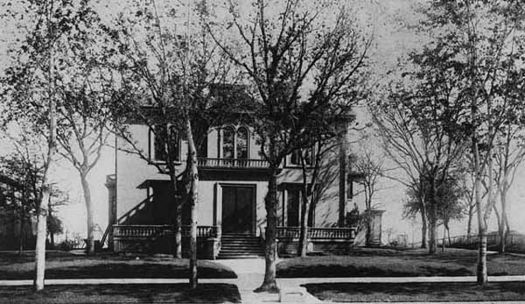 The house's previous occupant had been General Haupt, the general manager of the Northern Pacific at the time Gilbert worked for the railroad in both 1878 and 1883. After the turn of the century, Holyoke would do additional remodeling on the building for A.B. Driscoll. 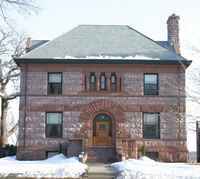 Smith was a vice president of the Bank of Minnesota and served four years on the city council beginning in 1883. He was elected mayor of St. Paul in 1887 and served several terms as the city's chief executive.